We needed to blow away the cobwebs today, so settled on a drive down to one of our favourite spots, the stretch of coastline between Kingsdown and Walmer in Kent. The sun was up, the hood was down and the countryside smelt of damp grass and lilac blossom. It was about as good as a May day gets. 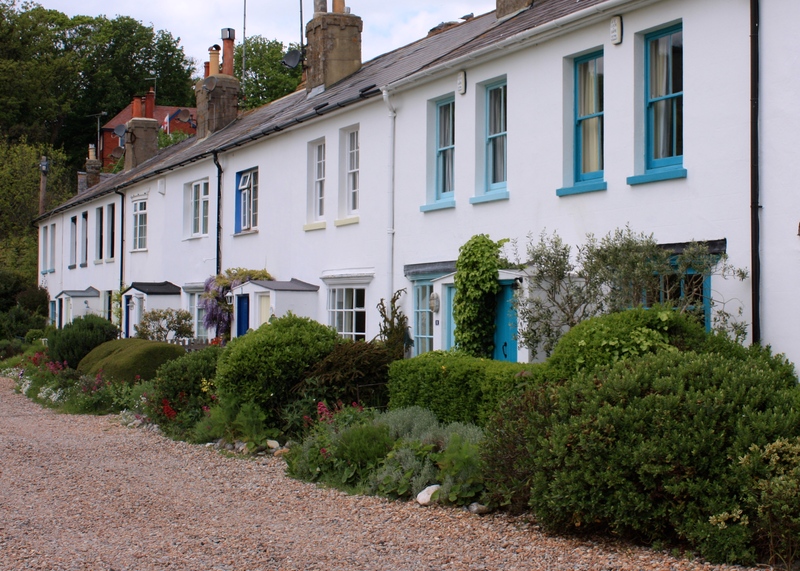 Kingsdown is a charming, oft-overlooked little village, tumbling from the fledgling white cliffs to a grey English Channel. Above the tide line, marshalled rows of whitewashed cottages spring directly from the pebble beach. 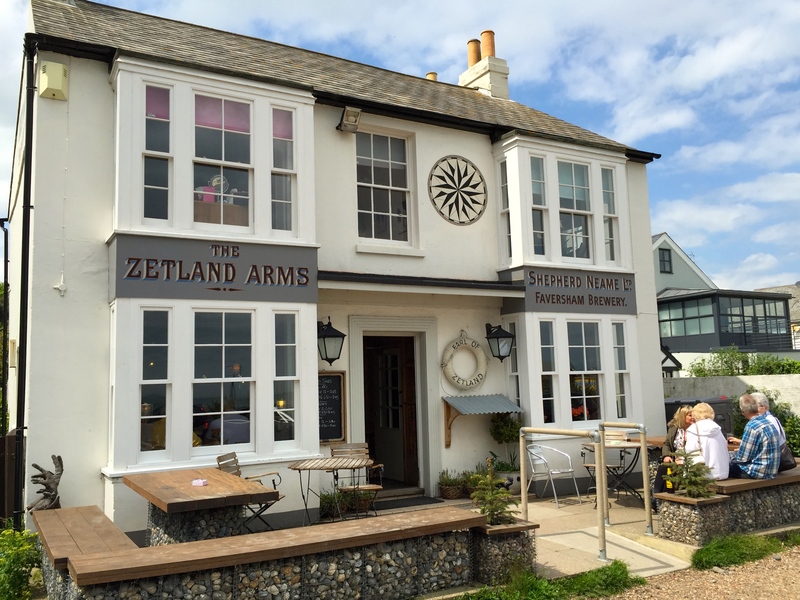 Immediately on the shoreline, The Zetland Arms is now a rather smart pub. Having felt decidedly run down the last time we set foot inside it has been tastefully done out with bleached wood, ticking-stripe cushions and nautical paraphenalia. 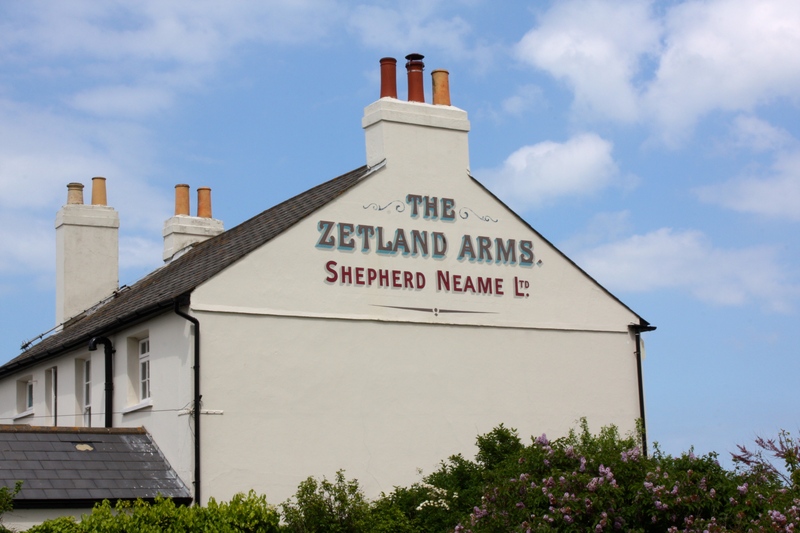 If you are not ‘in the know’ Zetland is the old name for the Shetland Isles and the pub’s name probably refers to The Marquess of Zetland. Together with Him Indoors I enjoyed an enormous homemade burger washed down with Whitstable Bay Pale Ale brewed at Britain’s oldest Brewery, Shepherd Neame. Sitting on benches fashioned from stone-filled gabions the front of the pub is the perfect place to watch the world and his wife go by. Most plants look their best in May, even wild ones. That’s why May is my favourite month. 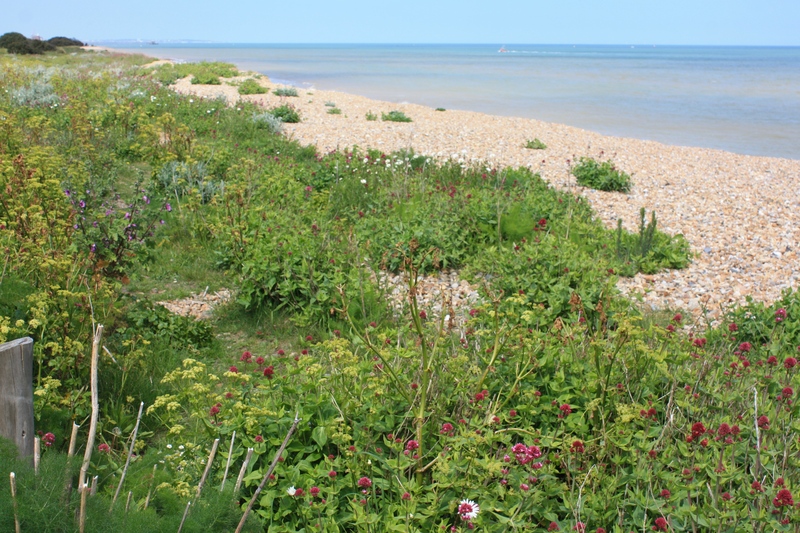 Through the golden shingle emerged feathery mounds of fennel, stiff, upright tree mallow (Malva arborea) and the conical plumes of valerian (Centranthus ruber) in shades of pink, vermillion and white. 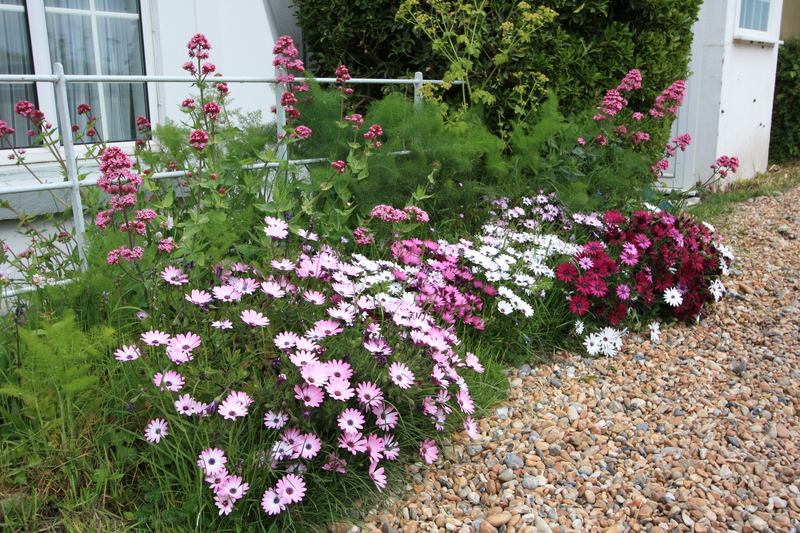 Outside their cottages residents had improved upon nature with colourful swathes of osteospermum, the Cape daisy from South Africa. ….. smirking we walked onwards to a spot in the shingle where an elderly gentleman was tending a garden of broom, phlomis, mallow, calendulas and teasels. The garden possessed no boundaries and bled seamlessly into the beach. 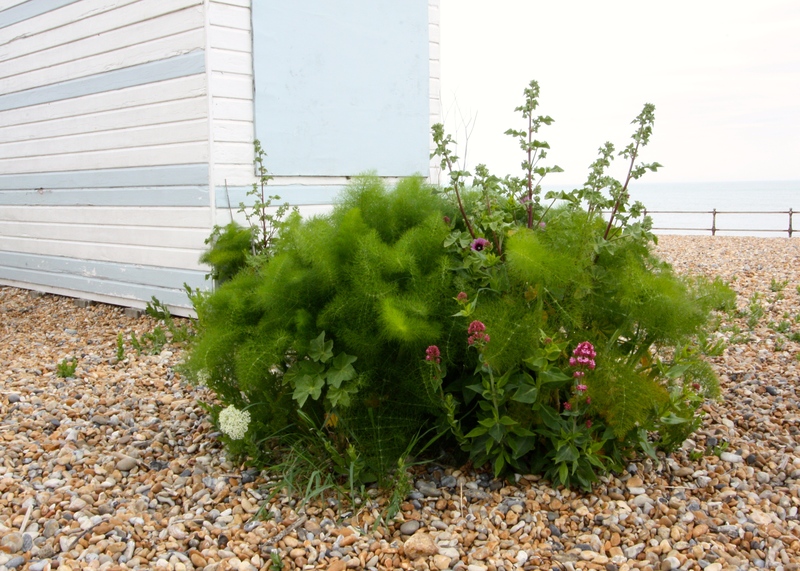 The shingle banks along this stretch of the shore have been invaded by all sorts of garden plants. I spotted bergenias, red-hot pokers, yuccas, Spanish bluebells and rosy garlic (Allium roseum) making themselves at home. Looking at the scene below, featuring windswept holm oaks, yuccas, alexanders, fennel and Spanish bluebells, one could almost imagine oneself in the Mediterranean. 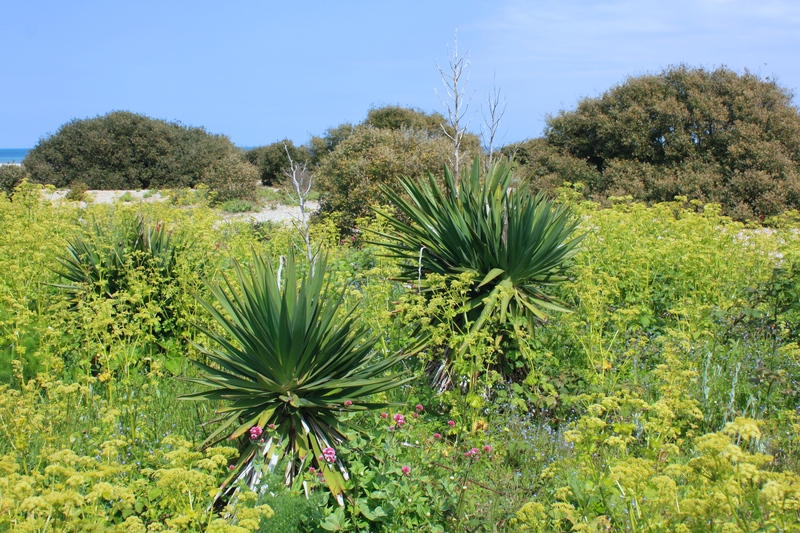 In fact, apart from the yucca, that’s where all of these plants originally come from. Like Broadstairs, this part of the Kent coast is dry, sunkissed and rarely suffers from frost. 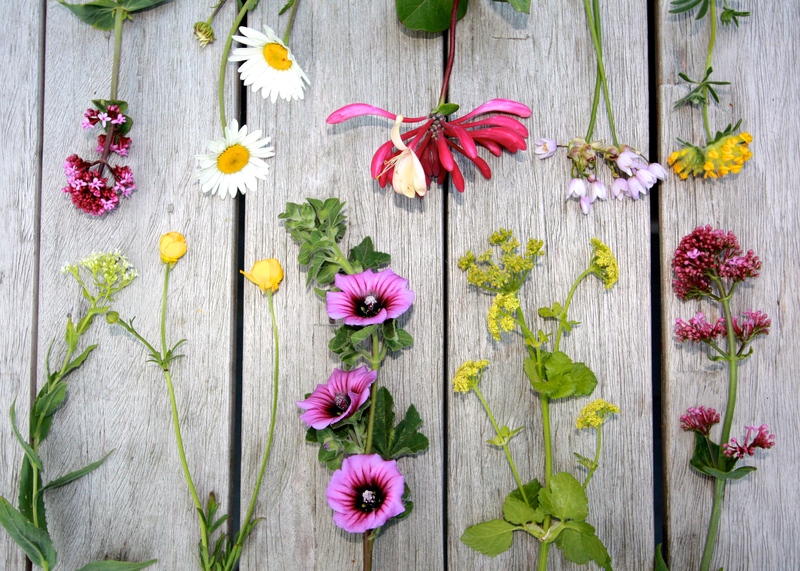 As I did between Polperro and Talland Bay in April, I collected a small bunch of blooms to enjoy at home. They are, clockwise from top left, valerian (Centranthus ruber); ox-eye daisy (Leucanthemum vulgare); honeysuckle (Lonicera periclymenum) – an especially rich red form which may be ‘Serotina’; rosy garlic (Allium roseum); kidney vetch (Anthyllis vulneraria); valerian (Centranthus ruber); alexanders (Smyrnium olusatrum); tree mallow (Malva arborea); meadow buttercup (Ranunculus acris) and hoary cress (Lepidium draba). Much of the shoreline and clifftop between Kingsdown and Dover is designated a Site of Special Scientific Interest, so I took care to pluck my flowers from the path side and not to trample the undergrowth. Any plant that survives here in salt laden gales, exposed to the sun, has to be pretty tough. But, as we can see from the foreign species that have integrated themselves, the balance is a fine one. The combination of real ale, vitamin D and sea air did the trick, and I write this from the garden table feeling full of vim and vigour. It’s time to return the dahlias to their night time shelter as I prepare them for planting out, so I will leave you with a picture of the beautiful tree mallow, Malva arborea. Have a wonderful weekend and happy gardening. I have heard a lot of talk lately that shrubs are coming back into fashion, so let’s just say you are keeping up with the latest trends! 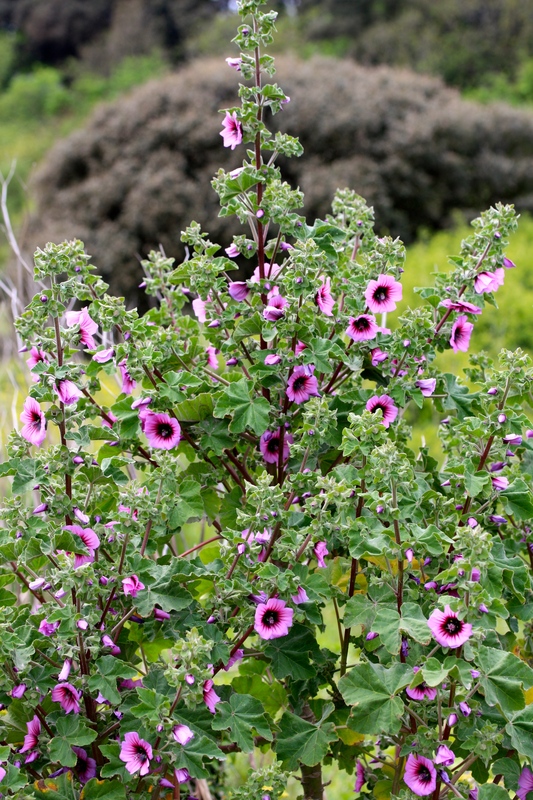 I didn’t know tree mallow was tender, does the same go for lavatera which is very popular here? It’s only good for down to 27 degrees which wouldn’t work with New England winters I’m sorry to say. A perfect day out! There is nothing like a trip to the coast and a good pub lunch to refresh you up! I am enjoying it vicariously via your photos and descriptions. I have been to that part of the world on several occasions you brought back such lovely memories. Cheers! I am glad. Even though we live in these parts we don’t get out exploring enough. At least in the summer we can have a day out and still have time in the evening for gardening. Oh happy childhood memories of when I lived in Kent. In the colder winters we had then Lavatera arborea wasn’t found there unless my memory is unreliable. I used to see it when on holiday in Cornwall though. Incidentally, isn’t is Malva arborea these days? Whilst on names, Valerian [unqualified] is usually taken to be the source of the sedative; Valeriana officinalis. Centranthus ruber is ‘Red Valerian’. 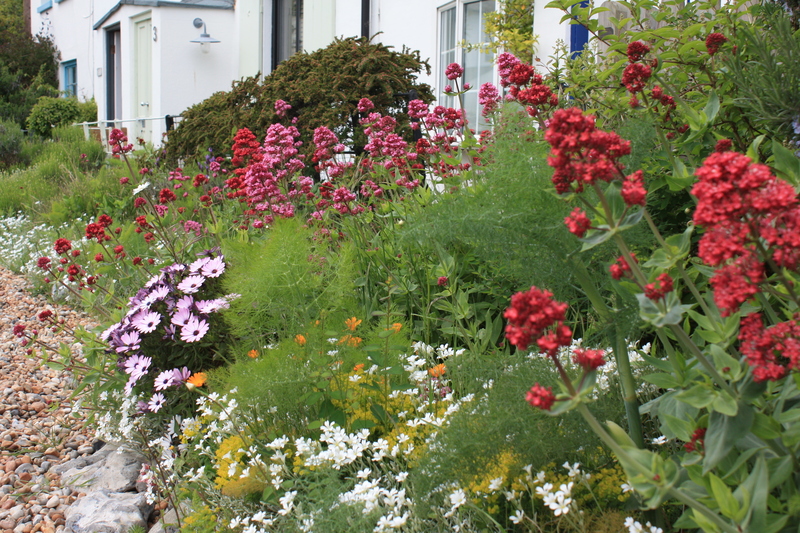 It then gets fun if you want to stipulate which colour form you are talking about; ‘White Red Valerian’, ‘Pink Red Valerian’ and I suppose var. coccineus comes out as ‘Red Red Valerian’! I love your blog, by chance you write about places I know well. I was raised in Kent, lived in North London for years and now I’m in Praze in Cornwall. Hi Chad. Thanks for your comment. By coincidence our friend Travis lives near Praze at Trevoole. It’s a small world! I can’t find anything definitive about whether it’s lavatera or malva these days, most sources still seem to call it lavatera. You are right of course about red valerian, aka Jupiter’s beard, kiss-me-quick and fox’s brush! Engagingly written — thank you and loved the bit about the garden with no boundaries. Yes, I wanted to say more about that. Perhaps I will in a different post. Confronted with a boundary-less garden I couldn’t decide if it was any more acceptable to wander in, or whether this was public beach being gardened or private space being allowed to merge with nature. We are so accustomed to space being physically divided that we can normally see the difference between private and public. In this instance it didn’t seem to matter. I agree, we do tend to carry an underlying alertness to public vs private spaces. Interesting to be in a circumstance that challenges this ingrained social navigation! 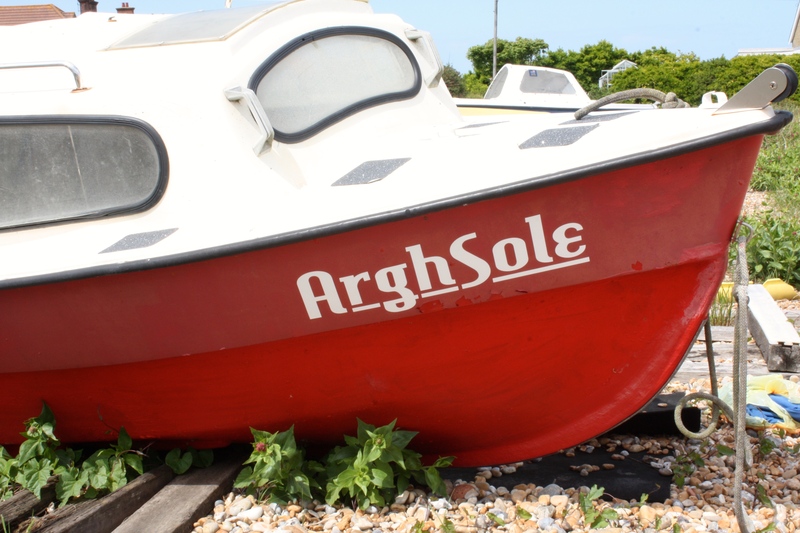 Shingle beaches and Shepherd Neame pubs…that takes me back to growing up on Sheppey! Lovely post and pictures. Thank you. 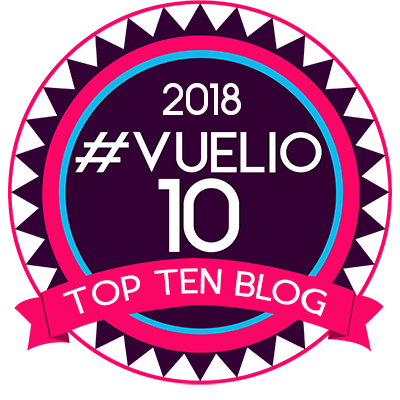 I have just come across your blog and I have never visited Walmer but need to now after your great article! 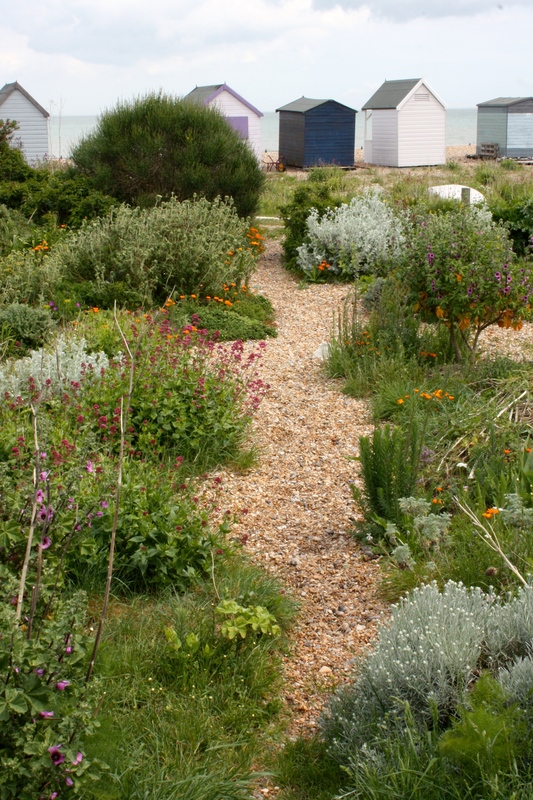 The beach garden is very reminiscent of the late Derek Jarmans at Dungeness which I think is one of the best gardens created in the 20th century. Many thanks for sharing your day with your readers! I look forward to future posts! I have a very tiny homage to Jarman in my inland Worcestershire garden…I’m not sure that Pope would quite approve of the “non” genius loci!! It consists of some beach found totems and rusty metal and santolina…but I like it!! Brilliant! Rosy Garlic. I’m hoping to do the walk myself this weekend … if I get beyond the Zetland Arms! !